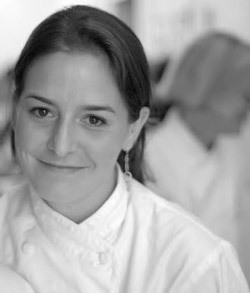 For Women’s History Month, CUESA is spotlighting women who are transforming our food system. This week we take you behind the scenes at La Cocina, a nonprofit food business incubator for low-income women, now in its 10th year. CUESA supports La Cocina by featuring a different entrepreneur at the Ferry Plaza Farmers Market each month. When Mariko Grady joined La Cocina’s incubator kitchen three years ago, the thought of owning her own business was little more than a dream. Following the earthquake, tsunami, and nuclear disaster that devastated Japan in 2011, she had started selling her homemade misos and kojis to friends to raise money to donate to victims in her home country. Grady found that there was a hunger for her handcrafted ferments even after she completed her fundraising campaign. She came to La Cocina to formalize her cottage food operation, so she could share her passion for the healthy foods of Japan with a wider American audience. The number of women- and minority-owned businesses in the US is growing fast. According to the Census Bureau’s 2007 Survey of Business Owners, women-owned businesses account for 28.7% of all businesses, and minority businesses make up 21.3% of the total. Minority business ownership increased at twice the national rate between 2002 and 2007. In 2005, La Cocina was founded in San Francisco’s Mission District to meet a growing need for support of women-owned food businesses, specifically low-income women from immigrant communities and communities of color. “That focus is a reflection of the unfortunate reality of our economy, particularly in our food system,” says La Cocina Deputy Director Leticia Landa. “If you look around the city and country, the vast majority of people in ownership positions are men.” Beyond the economic and bureaucratic hurdles of opening a licensed food business, women may face sexist stereotypes about their physical strength and ability in the workplace. For some, family responsibilities can create additional challenges, especially in an industry where working late nights and weekends is often part of the norm. In the 1990s, the now-defunct Women’s Initiative for Self-Employment, a training program for women entrepreneurs, found that many women writing food business plans were not launching their businesses. To find out why, the organization conducted a study and found that the bottleneck was affordable kitchen spaces. “It was too expensive to get permitted, so people were remaining informal,” says Landa. With help from the Women’s Initiative, the Women’s Foundation of California, and a generous donor, a nonprofit was formed to provide licensed commercial cooking space, business training, and marketing support for these innovative fledgling businesses. La Cocina (literally “the kitchen” in Spanish) currently works with 37 entrepreneurs (34 of which are women) and has launched 19 businesses over the last 10 years. Entry into La Cocina’s incubator is limited and highly competitive. After attending an orientation, applicants must submit a comprehensive business plan and application detailing their vision, experience, and dedication. Once accepted, participants start a six- to eight-month pre-incubation curriculum, which covers topics like marketing, product development, operations, and finances. They then begin formal incubation, which can take several years. Entrepreneurs are matched with La Cocina graduates and other business owners in the community to serve as mentors, and graphic designers to help them develop their brand. They test products and build a following through direct sales, retail, or catering. Within the first couple years, the majority of entrepreneurs hire at least two people to help them in their kitchen, according to Landa. During their training, participants have the opportunity to sell their products directly to customers at La Cocina events like the annual San Francisco Street Food Festival and a kiosk inside the Ferry Building. La Cocina also partners with CUESA to showcase a different program participant at the Saturday farmers market each month. Monica Martinez, an artist and designer who immigrated to the US from Mexico City, is one of La Cocina’s current entrepreneurs. Inspired by pre-Hispanic Mexican cuisine, she created an art project building micro farms that people could use to raise insects as a low-input alternative protein source. But she soon realized that there was a lot of education to be done around the ancient practice of entomophagy (eating bugs), and it might be better to help Americans warm up to the idea by first creating delicious food. When she moved to San Francisco, Martinez found herself among 100 attendees at a La Cocina orientation and decided to apply. For several months, she developed her business plan for a bug-based street food business called Don Bugito. Over the last five years, growing Don Bugito has had its challenges, as American eaters are still largely unaccustomed to eating bugs. Martinez has switched from a food truck model to crunchy packaged treats like chocolate-covered superworms and chile-lime crickets. She’s working on developing her product line, and recently introduced a maple cricket granola. Interest in edible insects is on the rise, and with a marketing boost from La Cocina, Don Bugito has helped elevate the trend. Venues like the Ferry Plaza Farmers Market have given Martinez opportunities to introduce her product to a curious but receptive audience. The incubation time in La Cocina’s program varies by participant. While a few entrepreneurs have bowed out of the program for personal or professional reasons, most naturally grow out of La Cocina’s shared kitchen and graduate by opening their own restaurant or production space. Look for Don Bugito at the Ferry Plaza Farmers Market on Saturdays in March 2015, and Aedan Fermented Foods in April 2015. La Cocina gala photo by Drew Altizer Photography. Leticia Landa photo from La Cocina. Monica Martinez photo by Marcela Rico.